Although there are lots of new dental procedures such as implants or crowns that can be used to cosmetically improve your smile and comfort of living, dentures are a tried and true dental solution that can be viable for those who have lost their teeth over time from poor dental care, age, diet, or even hereditary disease. 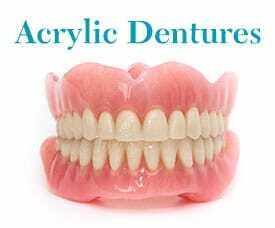 The different types of dentures available include full dentures and partial dentures that can be either an upper denture or a lower denture. Depending on the patient’s needs, remarkable results can be achieved, bringing back a winning smile to those who have otherwise become used to a dismal, unhappy mouth staring back at them every day in the mirror. The term ‘false teeth’, has often been associated with dentures, but never until this day and age has it been so easy to have them made, fitted and fully ready to go in the same day. Wherever possible, same day services are offered to get you back to your busy life. Thanks to our on site aesthetic dental laboratory, often everything can be done very quickly with adjustments done on site & even same day. You won’t have to ‘wait for 2 weeks to get your crowns back from the lab’ anymore. The real benefit of on-site adjustments are that they remove the need for multiple dental office visits for minor issues & your pair of dentures can be tweaked until perfectly comfortable within hours. You will feel like yourself again in no time! 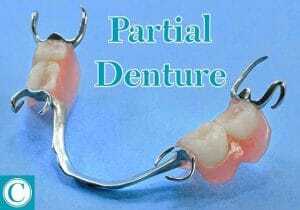 Within the full and partial denture categories, there are also many other types of dentures that may work for your mouth depending on your situation. 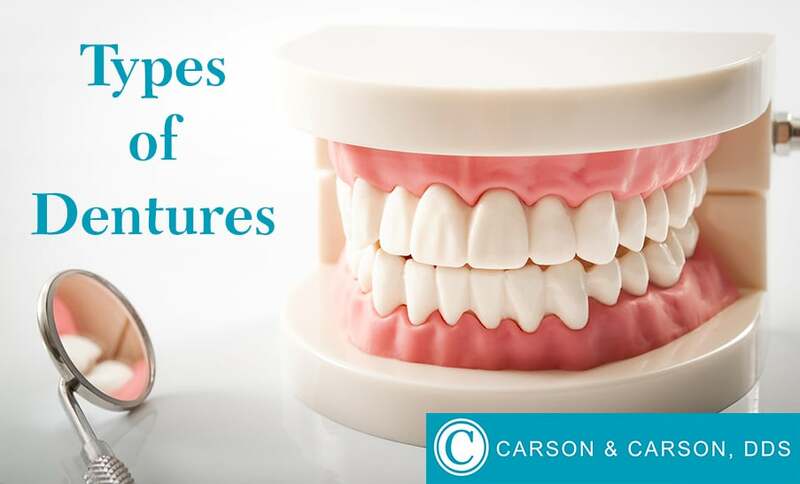 Contact us at Carson & Carson, DDS today for a consultation on whether or not dentures are right for you. Get a high-quality pair of dentures made same day from an Oxnard dentist with over 45 years of experience creating beautiful smiles. Give us a call at 1-805-983-0717 or click the button below to schedule an appointment online.